Multiple bomb hoaxes across Russia have led to tens of thousands of people being evacuated from public buildings in the past four days. On Wednesday, the luxury GUM shopping centre in Moscow was evacuated and in the capital alone at least 50,000 people have been affected. It is claimed at least 130,000 people have been evacuated in the past two days alone. Amateur footage shows members of the public being evacuated from shopping centres, railway stations and universities as they respond to telephone warnings about an alleged explosive device in the building. 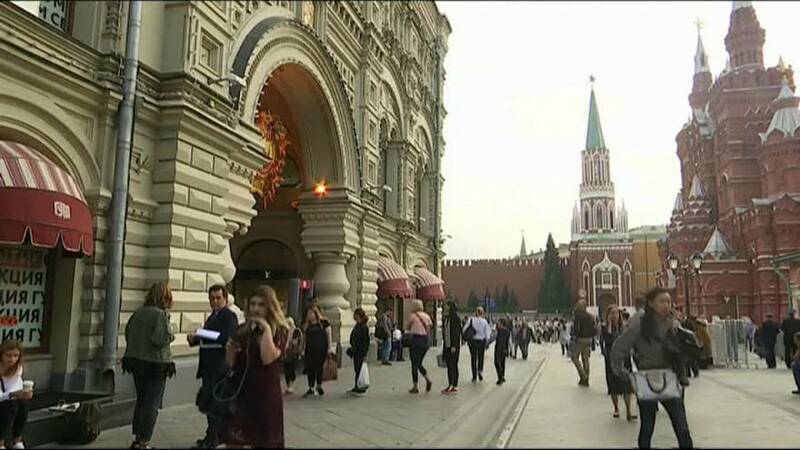 The source of the threats is unknown but officials are suggesting they are from outside Russia through scrambled internet connections which make them difficult to trace. With pro-Kremlin newspapers saying it is a “major hacking attack” possibly from Ukraine. Speculaton that the threats are part of a Russian-borne anti-terror exercise have been rejected by leading politicians. More than 200 organisations have been targeted nationwide.